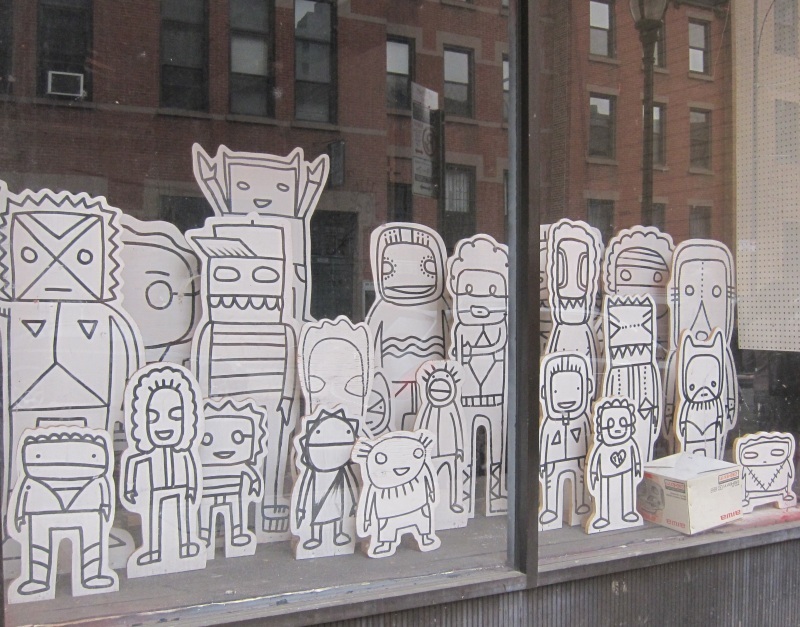 Hurry on over; Bushwick Open Studios is going on for a few more hours. 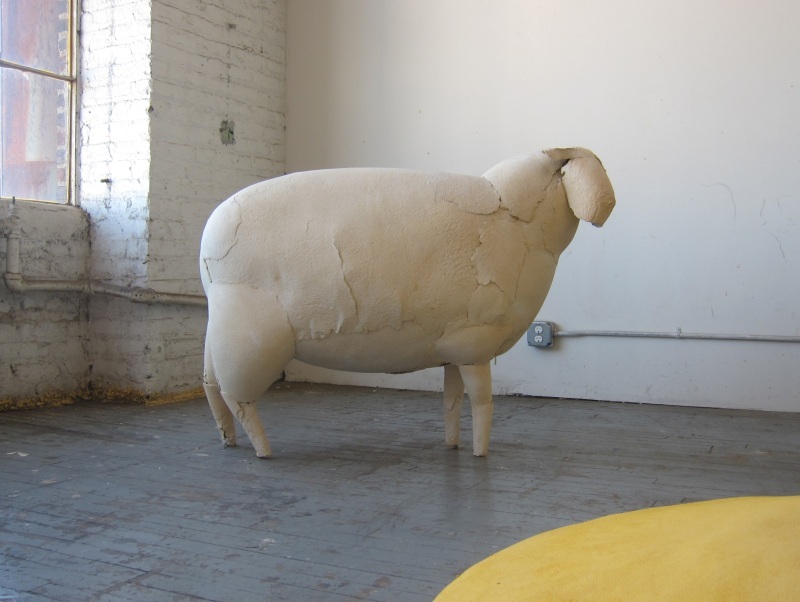 This sheep, by Kyu Seok Oh, is at 56 Bogart Street. There are hundreds of things to see and do; lots of great art. Naturally, the food trucks are there, too, so you won’t go hungry or thirsty. 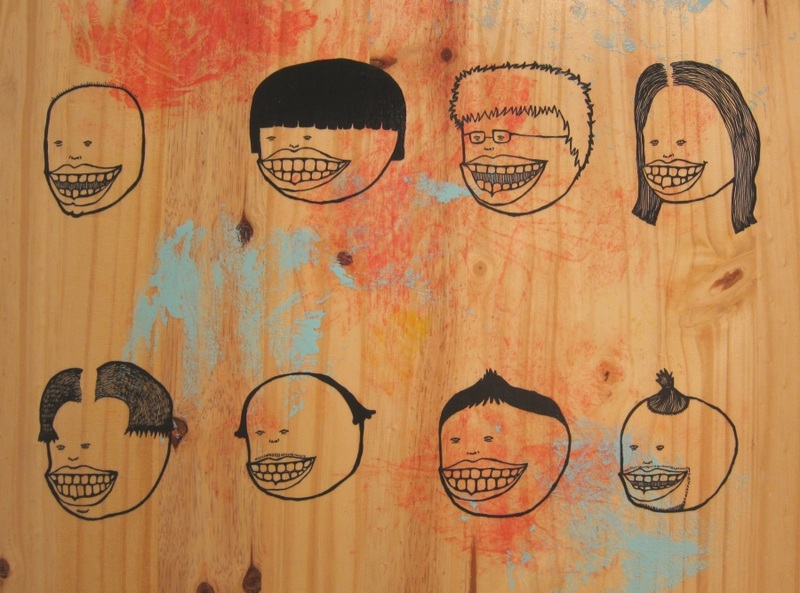 Chonlada Sirampuj’s painting works off Thailand’s slogan “land of smiles.” Everyone’s smiling, but the hair and head shapes suggest a diversity that tourist advertising doesn’t touch upon. 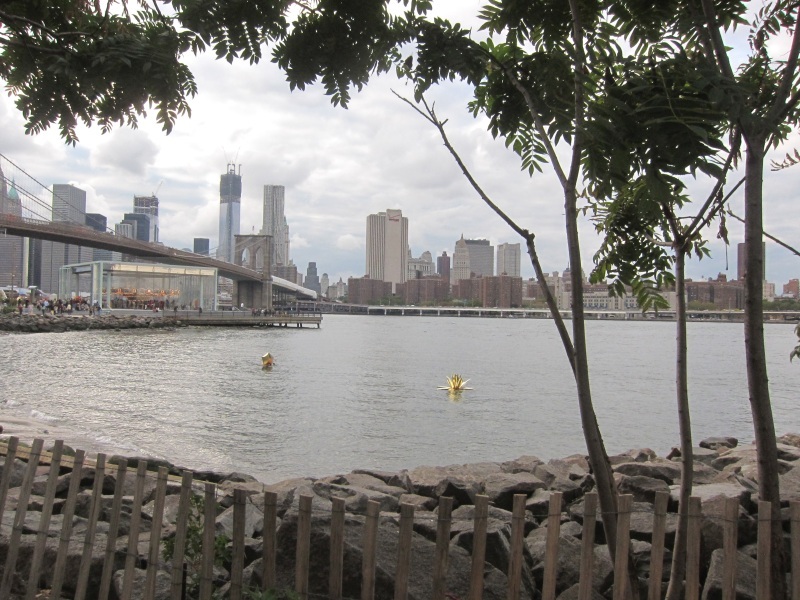 Learn more about Thai artists in NYC here.